I think Indian households aren't the only ones that should have chickpea flour as a regular staple in their pantry. I have really enjoyed using it. Also known as gram (besan) found in Indian markets, or garbanzo bean flour that can be found in your health or natural food markets and even in some supermarkets. Many use it in gluten - free diets. I am keeping it on hand in my pantry from now on! 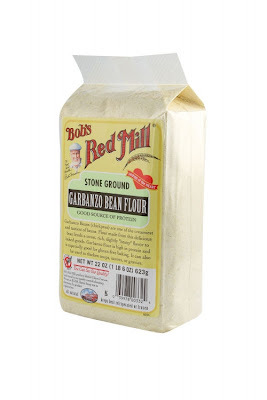 I have been using Bob's Red Mill brand and have found it in many stores near me. I think Walmart carries one that is garbanzo bean and fava bean blend. I haven't tried that one yet. I found another recipe from Jay's blog Tasty Appetite this time she uses shredded cabbage. I happened to have a cabbage on hand and tried it right away. Cabbage Fritters are easy to make and oh-so-tasty! Heat oil in a skillet or frying pan. I made them into little patties and dropped them in the hot oil, I like to pan-fry rather than deep-fry, that is just my preference. Fry the fritters until they turn golden brown. Drain the excess oil by placing the fritters on paper towels. Sprinkle a little sea salt over them while they are hot if desired. Here is another yummy snack or side that you don't feel so guilty eating. It's a great way to get your kids to eat their cabbage or any veggie, my daughter liked them. So quick and easy and tasty. They went almost as fast as I made them. We ate them just as they were like this, but I'm sure you could find many thing to dip them in. I wanted to see how they would be it I just dropped then into the oil and fried them like this. It was good that way too, but I think I prefer the first way in the little fritter patties. Of course doesn't frying make everything taste good? This is a double goody with the benefits of garbanzo bean flour and cabbage so I think it balances out don't you? My sister and niece are flying in to night for a week long visit. My parents rent a place out on the key for a month, so they stay with them. I know it only takes 4 minute to drive there from my house. They are right there at the beach. It will be nice for them to get out of the snow for awhile. I hope the weather keeps up like it has been for them, it's been in the 70s F. It's nice having family around. These look awesome! I've been thinking about trying chickpea flour, thanks! Debbi - you should try it, I think you'd find many ways to use it too. It's not that costly. You should check out the carrot pakora recipe, another kid (and adult) favorite! This looks great. I've yet to find a way that I can eat cabbage and enjoy it so this might be it. And I still have over half a bag of the flour from your last fritters (which I so loved and really have to make again soon). Great idea! I've some besan in my pantry and you just inspired me to try something different. Betty Ray - The first way that I liked cabbage is sauteed in a little butter with some coarse sea salt sprinkled on top, I saw Ina Garten make it this way on Food Network. These fritters are very basic like the carrot pakora you can probably do it with any veggie, just add the cp flour and a little seasoning that you like. Belinda - Good, hope you come up with something great! I've never heard of chickpea flour OR cabbage fritters. So I thought this was real interesting! They look delicious! I would prefer them in patties too. I don't know if I can find chickpea flour here, I wonder if normal flour would work. It looks great and I bet it's delicious! I've never tried chickpea flour and will be looking for it. Have a great visit with your sister and niece. Lucky them to be in warm weather and you too! They look wonderful!!!! I have to try chickpea flour! With all the flours, I use, I have not used chickpea. I must try this and thank you for this marvelous recipe. Sharon, chickpea flour is wonderful. If you have an Indian market near you it's also called besan. It has a wonderful taste as well as being healthy. It's a first for cabbage fritter for me too. Jenna, you freeze shredded cabbage? Good idea! K Butterfly, thanks so much!! Pam, I think you'll enjoy the flour. 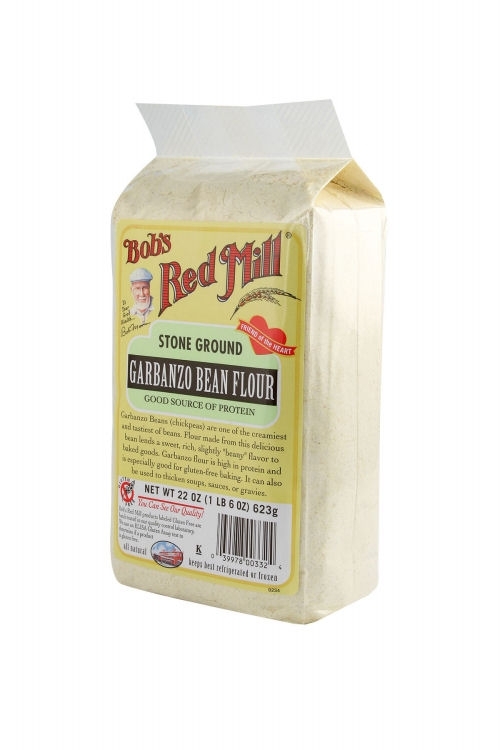 I have tried stone ground grits JB of your say so! lol! Erica, thanks, it's good with any veggie. I want to play with some different spices here too. girlichef, the more the merrier! Come on down! Bizzy, looking forward to see what you'll come up with! Thanks for visiting. These fritters look terrific! I'm glad I found these today. I'm going to try them out on my Super Bowl buffet. Thanks for sharing. I have chickpea flour in my cupboard and I can't wait to make these! The perfect finger food!